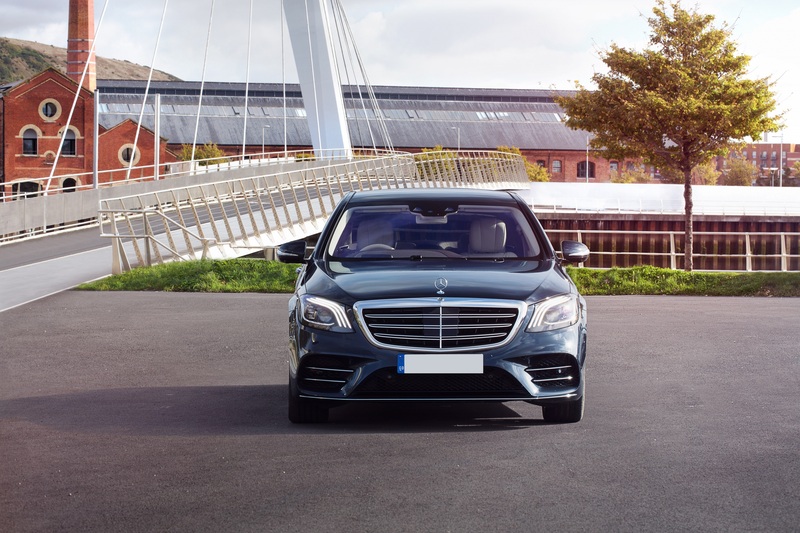 The Mercedes S-Class Long Wheelbase offers unrivalled rear legroom, perfect for stretching out on long transfers or recovering after a long flight. With its wealth of in car features the S-Class Mercedes provides a truly luxurious and stylish limousine for the ultimate in safe, comfortable, chauffeur-driven journey's. When choosing one of our S Class Mercedes for your transportation requirements you will receive free in-car Hotspot internet Wi-Fi, Daily Newspaper, Bottled Water & Mints. Vehicles are equipped with mobile device chargers, ambient/mood lighting and automatic climate control. All vehicles are driven by highly trained chauffeurs with all vehicles remotely tracked with the option for clients to also track their vehicle. The vehicle can accommodate Two large or Three medium sized cases and Two overhead locker sized cases and laptop bags.